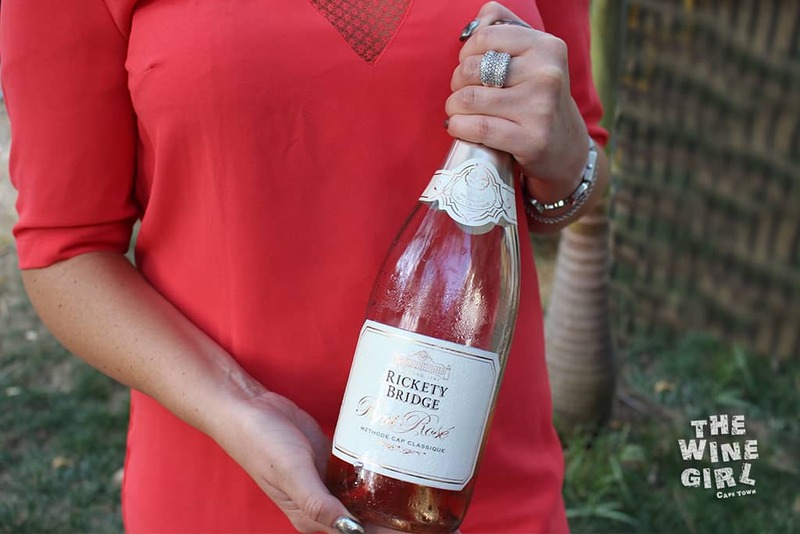 I’m a big fan of Pinot Noir and this Rosé MCC from Rickety Bridge has 52% of it! Add some Chardonnay (48%) and you have a winner. This MCC has spent 13 months on the lees. 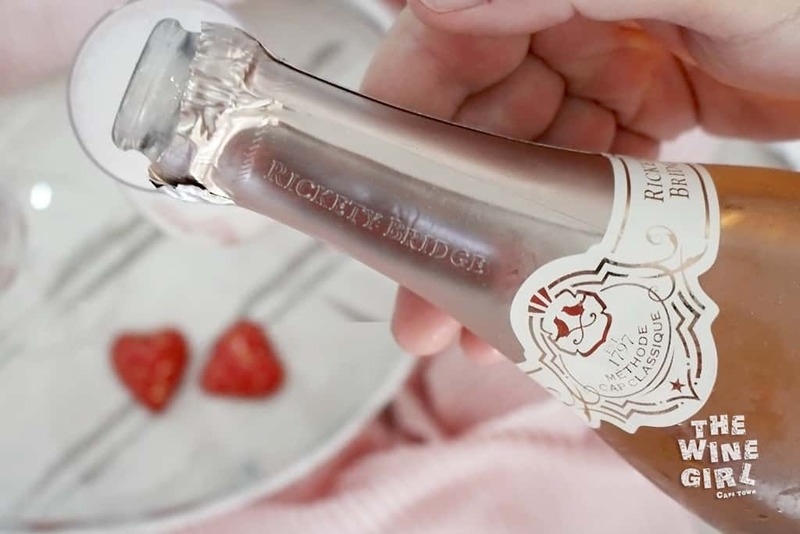 Delicious on its own, it is also the ideal complement to romantic treats like oysters, sushi and salmon. I paired it with salmon but I can imagine how wonderful it would be with berry pavlova or strawberries and cream. hint, hint! The bottle is really heavy which just screams quality. I really love the rose gold foil which is really trending right now. Super sophisticated. So if you are a guy reading this, this is a winner for your lady friend! The colour is quite dark and quite pink but not on the tarty side, more like a rose gold which is what you would expect from this type of blend. 3 out of 3. Candy floss and strawberries! Super fresh. 4.5 out of 7. To start off with, it had a strawberries and cream type of feel. It was kind of sweet but then again, the hint of acidity was there too. After the first sip, it was quite dry. In fact, my mouth felt like it wanted to water but it was bone dry. This wine is definitely meant to pair with food. 8 out of 10 – excellently dry with a lingering finish! Total is: 15.5/20 = a great occasion wine. Classy, dry and good with food. What a perfect Valentine’s Day treat! Available directly from the farm at R145 per bottle, or select outlets nationwide. For more information visit www.ricketybridge.com.